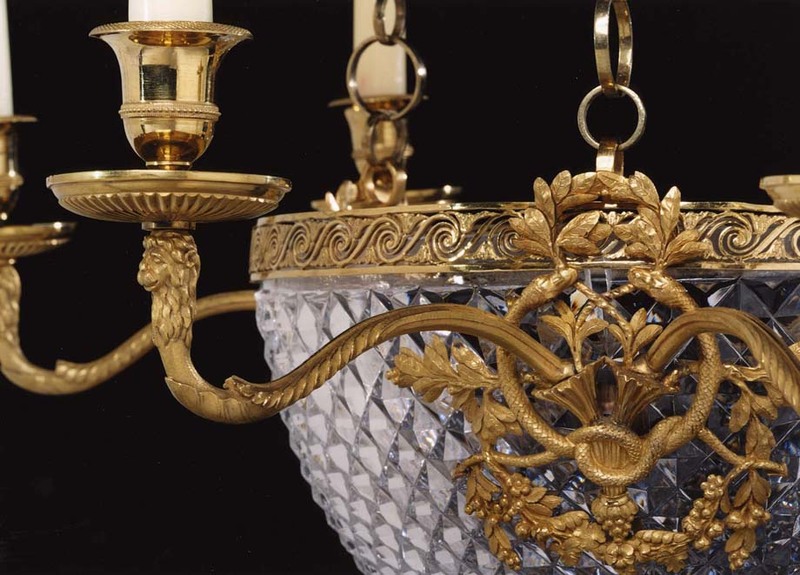 A fine quality early Austrian chandelier executed in crystal and gilded metal (ormolu) the glass bowl decorated with serpents and foliage and the arms terminating in camels heads. 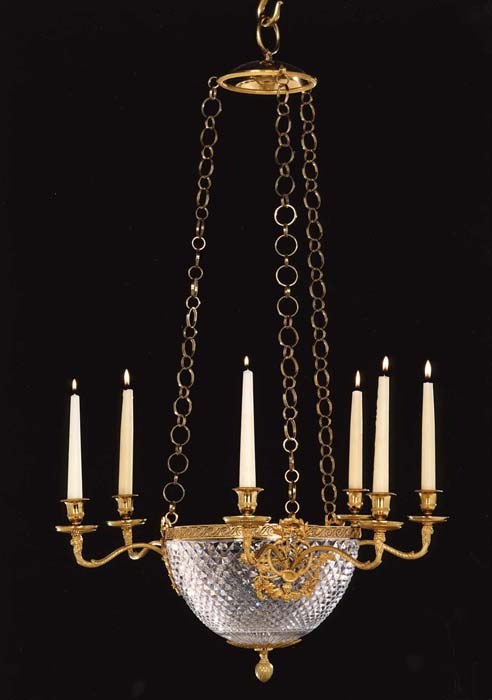 The chains being original as are the rest of the ormolu mounts. 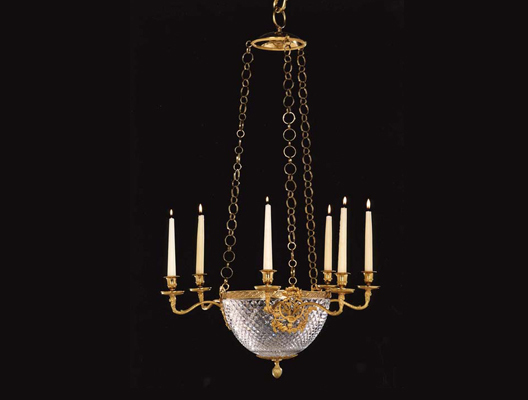 This chandelier still retains the original mercurial gilding and has been transformed to take electricity. 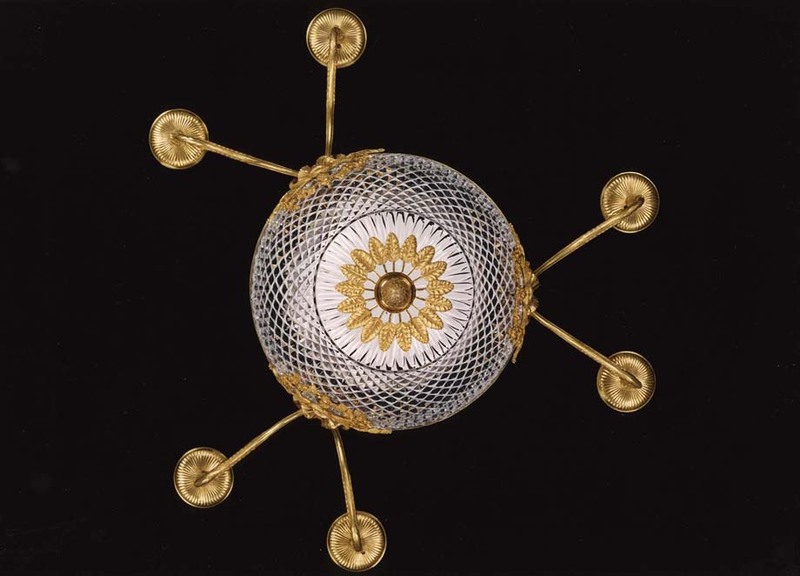 The glass is in a fine state of preservation and had been drilled in certain places for electricity. Height 38in (96.5cm). Width 23in (58.5cm).